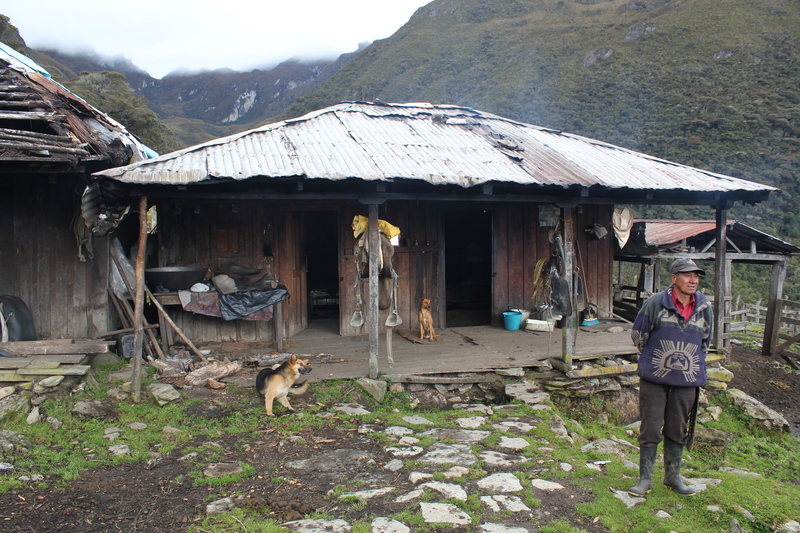 Boliche is one of the few remaining peasants in the paramo of La Nevera, a zone located 3,000 meters above sea level (4,200 m. max.) near the Las Hermosas National Park in the peaks of the Central range of the Colombian Andes. Accompanied by his two dogs, an old radio, and a white horse, and with his closest neighbors two hours away, Boliche works alone every day, caring for his dairy cattle. The cattle provide an income sufficient just to buy food. Boliche lives in a 200-hectare plot of land that he inherited from his father, who acquired it by cutting and burning trees and paramos to cultivate potatoes, first, and later to establish pastures for cattle. This happened more than 70 years ago, when Don Antonio (Boliche’s father) arrived from Nariño – a region in the south of Colombia on the border with Ecuador – looking for baldios (lands “without owners”) to colonize. Boliche has an extended family but none of them want to live in the countryside. Life in the high mountains is hard and without amenities; every day requires great effort. Inhabitants in La Nevera, as in other places in rural Colombia, are increasingly scarce. Many left their lands and belongings; they were either forced out or were tired of being caught between the warring parties in a long, endemic armed conflict. Today, only a few remain, holding onto their lives and to the only occupation they know – being a peasant in the mountains.